Greetings, chatters. I'll be here for the next couple hours to talk about all things Mizzou. Ready, aim, fire! Dave...Tre Morris signed on for baseball. Real good football player. Any chance we see him try both? I'm not sure that's realistic, but Tre said yesterday that Battle coach Justin Conyers keeps urging him to walk-on the football team at Mizzou. (Conyers worked for many years with Mizzou WRs coach AJ Ofodile at Rock Bridge HS.) Tre had football offers from several FCS schools - Missouri State, both Southern Illinois schools - but at 5-10 he didn't get much attention from FBS schools to play linebacker. He'll focus on baseball and could become the Tigers' catcher of the future. Columbia's Tre Morris lost his mom this spring but carries her spirit forward as he heads to Mizzou. With Mizzou softball being knocked out of the SEC Tournament, there's no way they're making the NCAA regionals, right? They have a very good chance, as hard as that is to believe. Not all 13 teams made the SEC tournament last year - but all 13 teams made the NCAA tournament. Mizzou is No. 23 in the RPI. With 28 wins, a strong RPI and strong strength of schedule, the Tigers should be in the field of 64. Before playing No. 4 Florida last week, MU's strength of schedule ranking was No. 3 in the nation. Now, does a team that goes' 6-17 in its conference deserve to be part of the national tournament? Personally, I don't think the body of work is good enough. Minnesota is 36-15 and finished 17-4 in the Big Ten, but somehow is ranked lower than Mizzou in the RPI because it plays in the Big Ten and not the big bad SEC. Mizzou's RPI is also higher than Big Ten champion Michigan, 34-win Cal, 34-win Northwestern and 30-win Texas. Should Mizzou be rewarded for playing in the best conference even if they won only 26 percent of their games in the conference? On the other hand, would teams of similar ability from other conferences fare any better in the SEC? I'm not sure. But if I'm a mid-major team with 30-plus wins and I don't make the NCAA tourney but 6-17 Missouri makes the field, I'm troubled by the selection process. Any updates on the student section changing locations for football games ? I don't expect there to be any changes for the seating sections for football in 2018. Maybe once the new sections are in place as part of the south end zone construction in 2019 they might tackle those proposed changes again. Odom made it pretty clear he wanted to move sidelines last year, but the administration put those changes on pause after receiving considerable blowback from the student body. As for Mizzou Arena, you're right, it's a bad look on TV when the high dollar donors leave their seats to watch from the club level and leave a swath of empty seats along the baseline, but as long as they're writing the checks that fund the whole operation I don't expect any changes. The students will stay on the west baseline. Do Mizzou best writers don Mizzou garb to games? Or you neutral in dressing? No Mizzou garb. That's a major faux pas in my industry. Any credentialed media member who covers an event while wearing that team's logo isn't taken seriously by his or her peers. The only Mizzou items of clothing I own is a homecoming sweatshirt from around 1996 and an MU School of Journalism t-shirt. I loved my time at Mizzou and the place means a lot to me, but the P-D writes my checks, not the alma mater. Hey Dave. Thanks for the chat. I get that Martin is confident in what he has coming back next year...but I just don’t see it. Some good talent but I don’t see where the scoring is going to come from. Shocked that the staff hasn’t added a grad transfer. Would love to have Isabell back. Can really score it and make plays on a team that really needs it. Does this mean Pickett and Watson are going to get a lot of minutes? In your opinion, does Mizzou have enough good players to make the tourney next year? We'll tackle these two together. Bigron, I haven't seen this group play together - neither has Cuonzo - so it's hard to project this early if this team has enough pieces or the right pieces to put an NCAA tourney team on the floor. If indeed Jontay Porter stays in the draft, it's fair to wonder who will be the best player on the floor, much less the leading scorer. But I'm intrigued by what this team CAN do, not just alarmed by what it can't do. Can the Geist-Pinson point guard experiment handle those duties? How much growth does Tilmon make as a sophomore? What does Mitchell Smith add to the frontcourt? How quickly can Watson become a reliable scoring threat? What does Santos and Pickett add to the equation? There are just so many unknowns on this team. Cuonzo had a comment in Frederickson's column today that speaks to what he expects from this team: "What we can be, and what we will be, is an elite defensive team across the board." Missouri was at its best last year when it played exceptional halfcourt defense. That's always been Martin's identity. Tv, I'm also a little surprised that the staff didn't probe the grad transfer market with more vigor this offseason, but it's pretty clear that Martin doesn't want to gamble too much on personnel. He wants to invest time in getting to know the players he brings into the program. He had some shotgun marriages this time last year and it led to some clashes and, eventually, transfers. I traded messages with Isabell last week. He's open to playing anywhere, even Mizzou. I just don't think it's all that realistic. He really clashed with the former staff, and even though Anderson and his assistants are no longer coaching at MIzzou, there are still some staff holdovers who now work for Martin, and they saw the friction up close. My hunch is that's a road Mizzou won't want to drive back down. Great question. Tre Williams has great upside if he can lock in and focus. He's a goofball. Playful, likeable kid. But he plays for some coaches who don't have tolerance for goofy. Terry Beckner is a good pass rusher from the interior. I could see him pushing double-digit sacks. I like the inside linebacker tandem of Garrett and Hall. Hall will have a chance to make stops at or behind the line if the guys in front of him do their jobs and stay in their gaps. Kirk was a good teammate from what I remember. I always admired Kirk. He had a star-crossed career. All those injuries and then when he got healthy, Brad Smith came along and won the job. Gary was very complimentary of Kirk when we wrote the book. Hello Dave! Assuming Jontay goes to the NBA do you see the men's b-ball team (with the current lineup) exceeding the 20 win season they had from last year? If so, why? Some of that depends on the rest of the SEC. Will the league take a step back and have fewer NCAA-caliber teams? I think the league might actually be deeper. Mizzou and Alabama look like teams that might have a few fewer bullets in the chamber, but LSU will be much improved. Vandy, too. I like Mississippi State's core. Kentucky will do what Kentucky does and reload. Florida and Arkansas lost important pieces, but their coaches will put solid teams on the floor every year. As for Mizzou, like I wrote earlier, it's really hard to have a read on this team because so many newcomers will have sizable roles. I guess I wouldn't be shocked if MU wins 20 games, but I think it's more reasonable to expect something in the high teens. I'm always interested to see which of the non-revenue teams readers care about most when it comes to coverage. Speaking of, I spent some time with Robin Pingeton this morning for a couple upcoming stories. She's changing a lot with MU's style of play for next season. Interesting stuff. Who is CM’s best recruiter? We always hear about them on other teams. I'm not sure if one is better than the other but it comes down to Mann and Hollender. They are the coaches most of last year's newcomers and current recruits mention most. But basketball is different than football. Yes, the assistants recruit, but the most important recruiter is the head coach. That's not always as true in football. Frank Cusamano had some critical words re: Barry Odom on his show this AM. He was not ripping him by any means, and not disparaging his personal life. Rather he was saying Odom seems disengaged with STL media (thereby missing the opportunity to sell himself and the program) and seemed to have a chip on his Shoulder. Given the program's difficulty in recruiting the STL metro, Frank's balanced criticism may be salient. One of our columnists attended a speaking engagement in St. Louis earlier this spring to interview Barry and he declined. All I can say is it's disappointing when that happens. Outside of a few minutes with a gaggle of reporters after a March or April practice there really isn't much of an opportunity to talk to this football staff. And it's not for a lack of interest by this writer and others who cover the team. There's a huge spotlight on the teams that play in the SEC, but this program doesn't seem too interested in the exposure. On the flip side, I appreciate both basketball programs at Mizzou. They're engaged with local media. Any thoughts on what the football staff think about Franklin Agbasimere's chances at getting meaningful snaps on the defensive end? I don't think he's viewed as anything more than a backup. When players who are two and three years younger are moving ahead of you on the depth chart that's not a great sign. I expect Tre Williams and Chris Turner to be the top defensive ends. Right now, Nate Anderson is probably the top backup. Agbasimere will be in contention for a backup job, but the three incoming freshmen should be in the mix for playing time, too. Reflecting on the sweep of Mizzou baseball by UGA and seeing them near the bottom of the SEC, how would you assess the season so far? Would you say it's still better than expected given the limitations or not? It's not better than expected if Mizzou misses the SEC tourney or NCAA tourney. Bieser's team is dealing with some key injuries. This is not a very potent lineup, and it's been playing without its best hitter for more than a month with Kameron Misner out. MU was down to two healthy outfielders in the middle of the Georgia series. The pitching has been disappointing down the stretch, too. They've got a chance to turn things around these next two weekends, but right now, they're out of the SEC field and probably out of the NCAA field. Will Bryce Montes De Oca improve on his draft status this year or do you think he'll come back for his senior year? Then what about Sikkahema, is it safe to say his year has been a disappointment? Sikkema's overall numbers aren't terrible by any means. ERA is higher than ideal at 3.81. He's allowed five homers and opponents are hitting .280 against him. Those aren't the numbers of a No. 1 SEC starter, and I'm sure Mizzou expects more from him. Montes de Oca still has control problems: 32 walks, seven hit batters and five wild pitches in 53 innings. He's still very difficult to hit - opponents are hitting just .175 against him - but this is his leverage year. If he comes back for another season, he has zero leverage when it comes to contract negotiations. In your interactions with Tramaine Isabell, were you impressed with his off-court behavior? Heard he was a good student. Obviously, he has some talent, but were his deficiencies on the defensive side of the ball a reason why the current staff isn't excited him as a grad transfer? I touched on this earlier. There are still some staffers who work for Martin who were here under Anderson. It just doesn't seem all that realistic for MU to bring back a player who was suspended several times and didn't leave on the best terms. MU rarely let us interview Tramaine. When they did, I always thought he was a sharp guy, insightful. 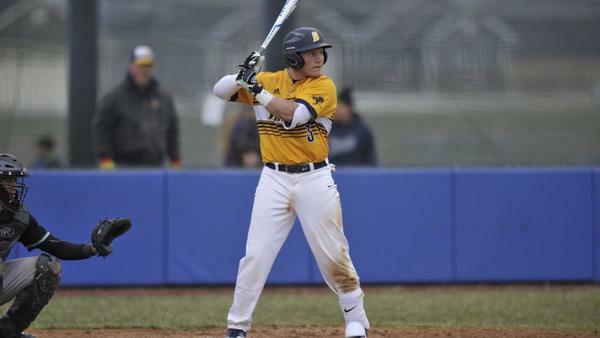 Weekly update on MU baseball team's tournament chances, after getting swept by Georgia? Will Misner get to play again this year? Bieser has said Misner won't be back sooner than the SEC tourney - if MU makes it. The latest projections DO NOT have Mizzou in the NCAA field of 64. Obviously the field isn't set yet and MU can play itself back in. Huge series this weekend at South Carolina. The SEZ project video looked pretty nice. Of the top of your head, how much Faurot seating capacity was going to be lost with the project? Here's what I wrote in August: With the renovations, Mizzou will downsize the stadium’s seating capacity from 71,168 to 65,000 in 2019. Keep in mind, Memorial Stadium hasn’t been at capacity for a game since 2014. This is the trend for teams at the pro and college level. College football attendance is down nationally, especially across the SEC. Schools are reducing capacity but expanding revenue streams with suites and other frills. Is that dude who had a cow about you interviewing the Mizzou softball coach back from last week? I can't remember his name but geez he/she got a little our of hand. He sent me an apology email. No harm, no foul. I wasn't in the mood to have my professionalism criticized, which is true most days. Hey Dave, thanks for doing this every week. I appreciate it. Two things. First, people are concerned about where the scoring will come from next year in basketball. They need to remember when Michael was injured, people were saying the same thing. The cream always rises to the top. Mizzou bball will find the scorers. Each and every player on the team has scoring in their DNA. Second, the softball team. how soon after the regionals should we expect word on the coaching situation? Norm Stewart use to tell his assistant coaches, "Every team will have a leading scorer." Someone will score points. Now, it's fair to wonder how prolific a shooting team/scoring team this will be? Will the top threats be reliable and efficient? How much will this team have to depend on defense to provide scoring chances? Those are all fair questions and concerns. As for softball, if Sterk decides to keep Fogue as the permanent, the smart move is to announce it right when MU makes the NCAA field. It will show that he believes in her regardless how the postseason unfolds. That way, if he wants to someone else to coach the team, he won't be swayed by the outcome of a couple games in the regional. Dave I selected women's bball in your poll, but am equally interested in the softball program. As for changing MU's style in women's bb, I can see that with the team being loaded in guard and small forward. We saw how pressure can lead to a lot of points, unfortunately it was against us.